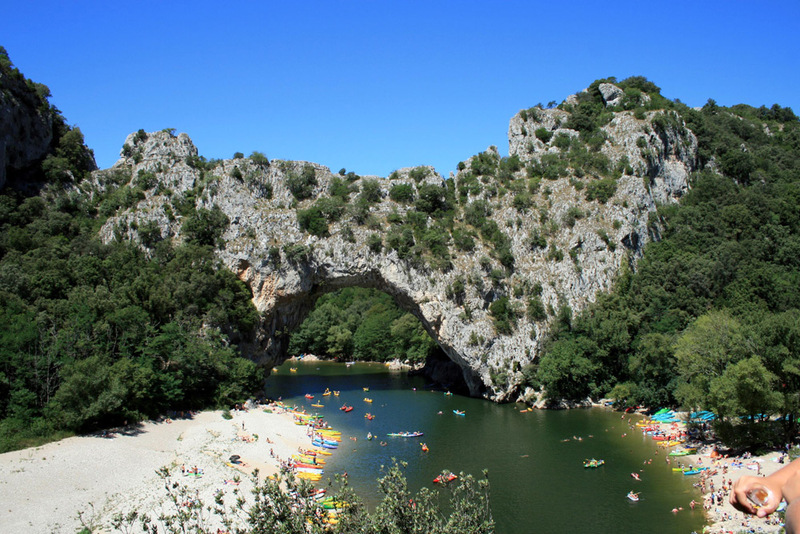 A discovery of the Ardèche and canoe (or kayak), from the bridge of Salavas to Châmes, passing under the Pont d’Arc. Low season: Month of April, October, and during the week for the month of September. 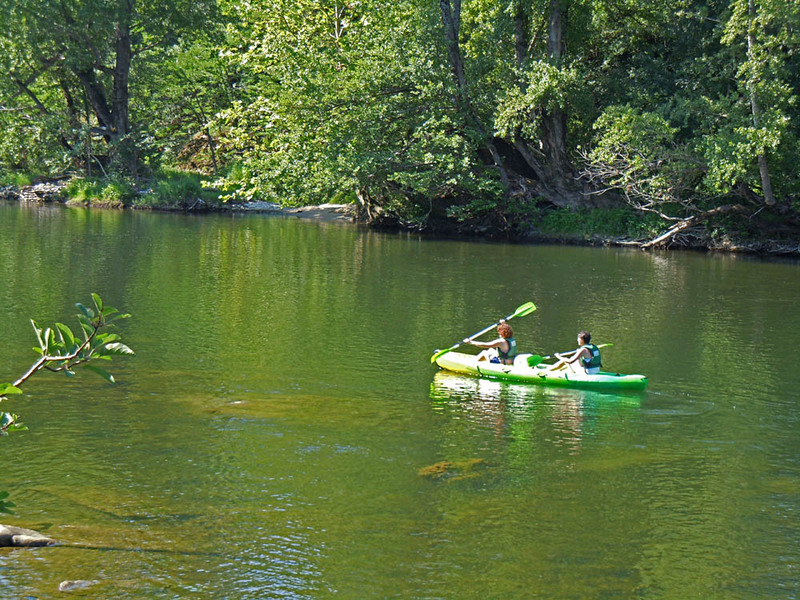 High season: Months of May, June, July, August, and September weekends. 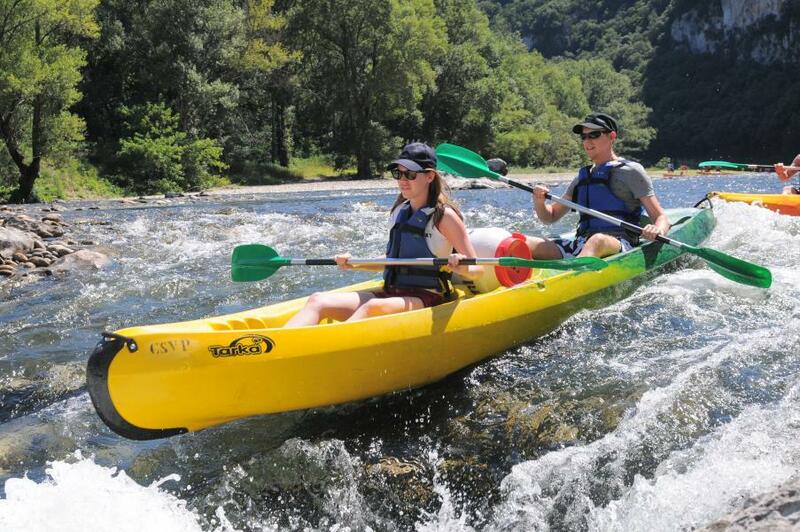 The first portion to Vallon Pont d’Arc is quiet and without rapid with 4 dams equipped with slides for canoes. 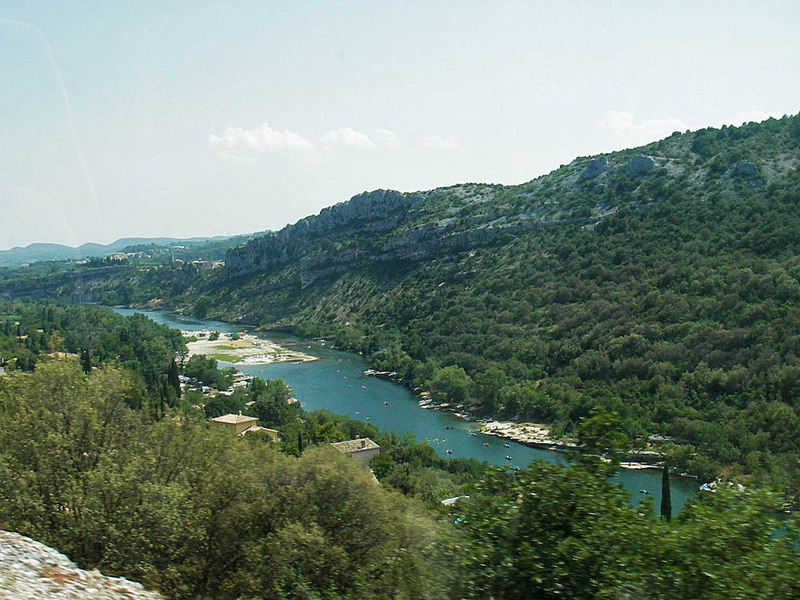 The second part is the same than the Mini Descent passing under the Pont d’Arc. In the event that the water level would be highter than the reference level, regulated by prefectural, the descent will be canceled. 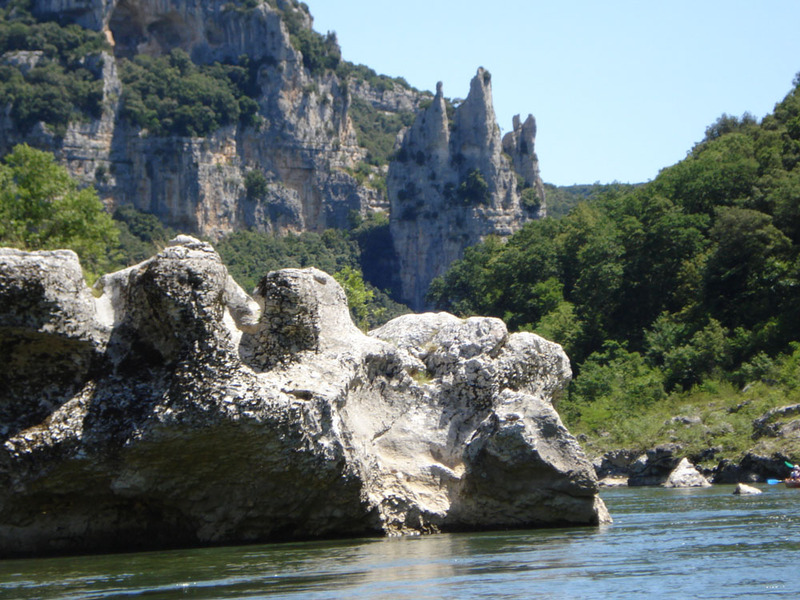 From Châmes to Sauze in the Canyon of the Ardèche Gorges, Natural Reserve. 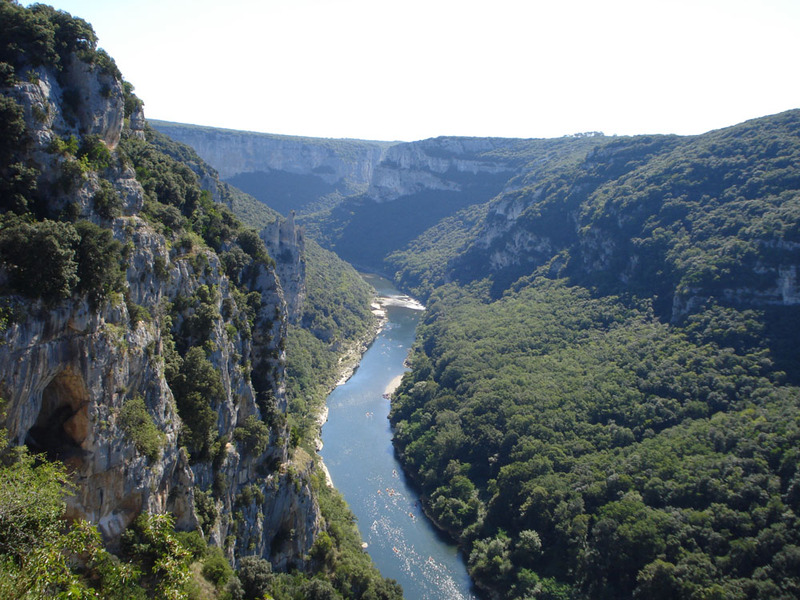 From Vallon Pont d’Arc to Sauze: the entire canyon with the Pont d’Arc and the Natural Reserve of the Ardèche Gorges. 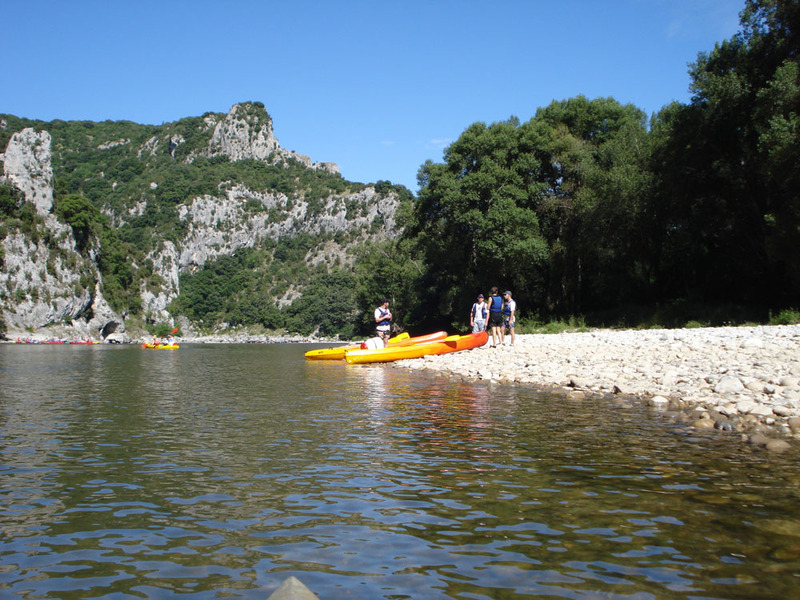 The site is wonderful but you should be in good physical condition because this descent requires 6 to 7 hour of paddle according to the water level, and takes place in the Gorges which are accessible only by boat or on foot (except Reserve staff). The same route as above but spread over two days, which makes it accessible to all. Start in the late morning or early afternoon and finish the next day around 3:00pm to Sauze. This avoids the affluence of the descent in one day. 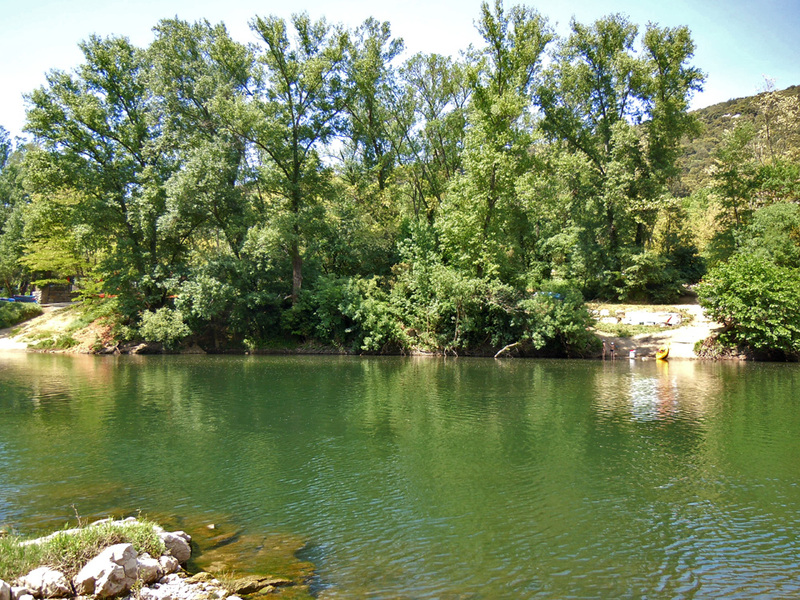 Bivouac of Gaud: 3h00 of navigation. 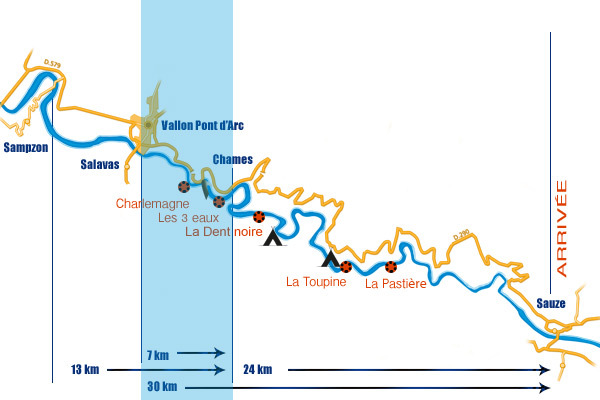 Bivouac Gournier: 4h30 of navigation. Remember to book your bivouac tickets. 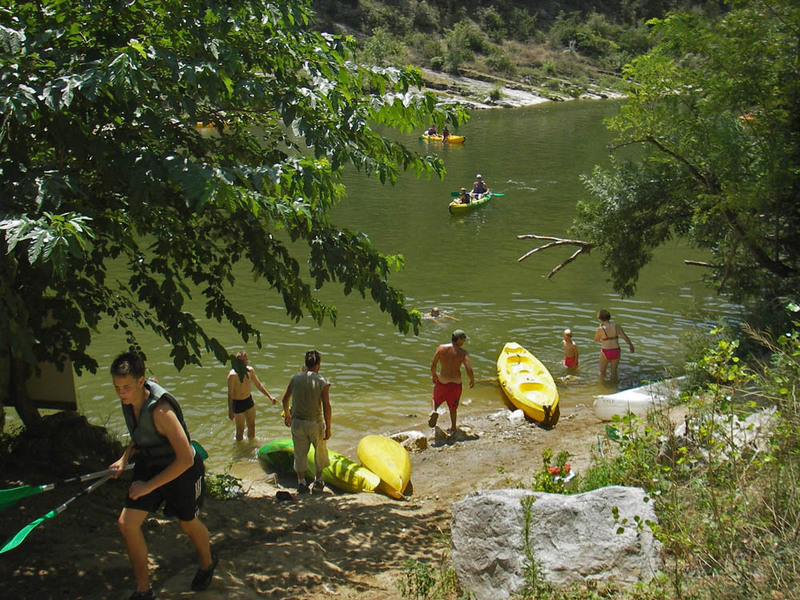 Start from Vogue or Balazuc with stop at Sampzon first night, camping at Aloha Camping or the Riviera. 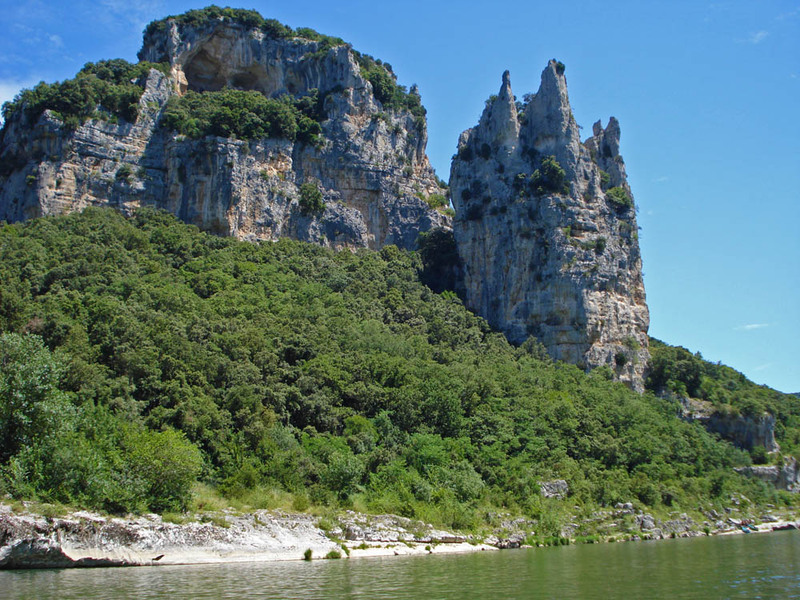 Second day: from Sampzon to the bivouac of Gaud. Third day: from Gaud to Sauze. For more information or reservations, thank you for contacting us. 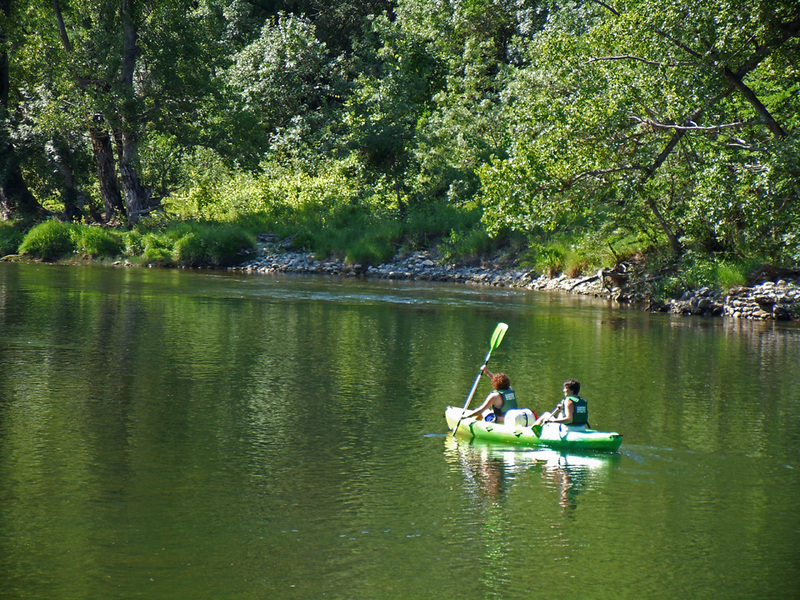 Boats, well suited to the river, are equipped with two jackets (buoyancy aid) and paddles. 1 container for one day descent. 2 containers for 2 days trip. Height: 45 cm – Diameter 40 cm – opening diameter: 27.50 cm. 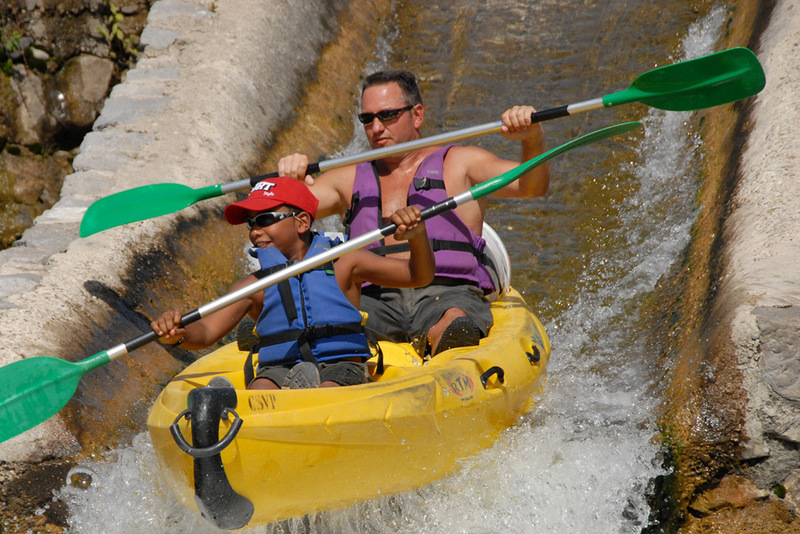 Always wear your lifejacket closed. 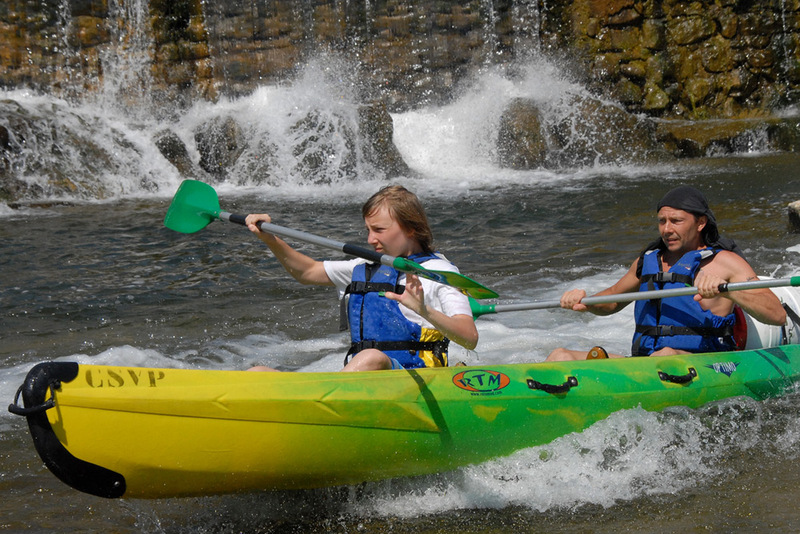 Keep at least 10 meters between the boats on the small rapids. Recognize the rapid Charlemagne walking, right bank (for 7 km, 13 km and 30 km descents). Passage de la 1ère armée, route des Gorges at 200m from the roundabout Gorges. Week-ends of May, and every days from June. Blue hut “Ardèche Loisirs,” bus park, on the left after 2 stops. 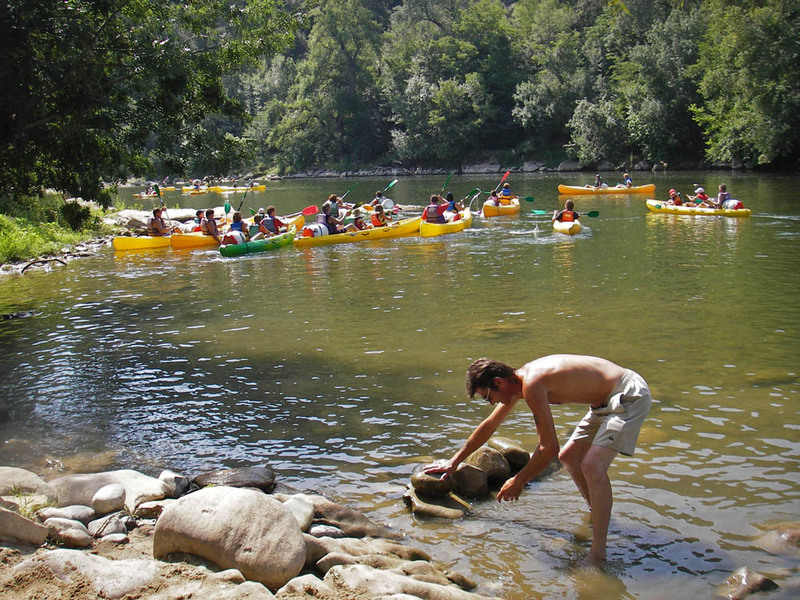 If you prefer to leave your car in Sauze (Saint-Martin d’Ardeche), end point of your descent, we organize the morning shuttle to take you to the starting point (no waiting evening, highway 15 min). The appointment is at 8:30 am. 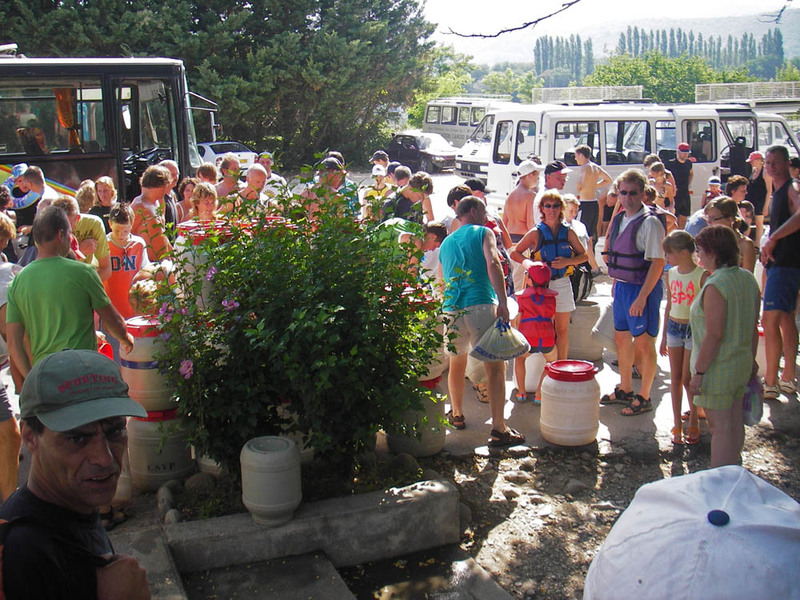 Sauze departure by bus to Vallon Pont d’Arc. Arrive at 9:30 am (CSVP base) information, initiation, departure for the descent. From 4:30 pm to 6:00 p.m. Free arrival (your cars are on the site). The appointment is at 10:30 a.m. Arrival at 11:30 am. 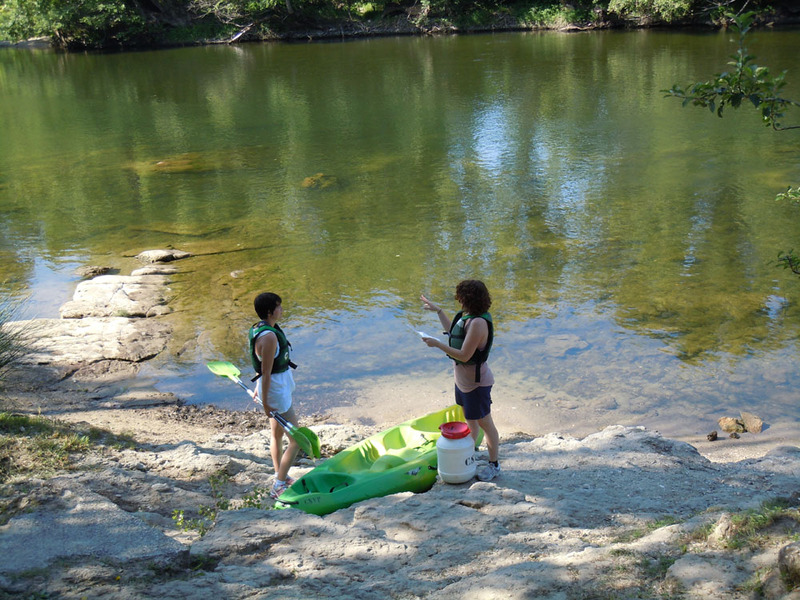 (CSVP base): Information, initiation, Picnic possible near the water at the boarding point, departure for the descent. 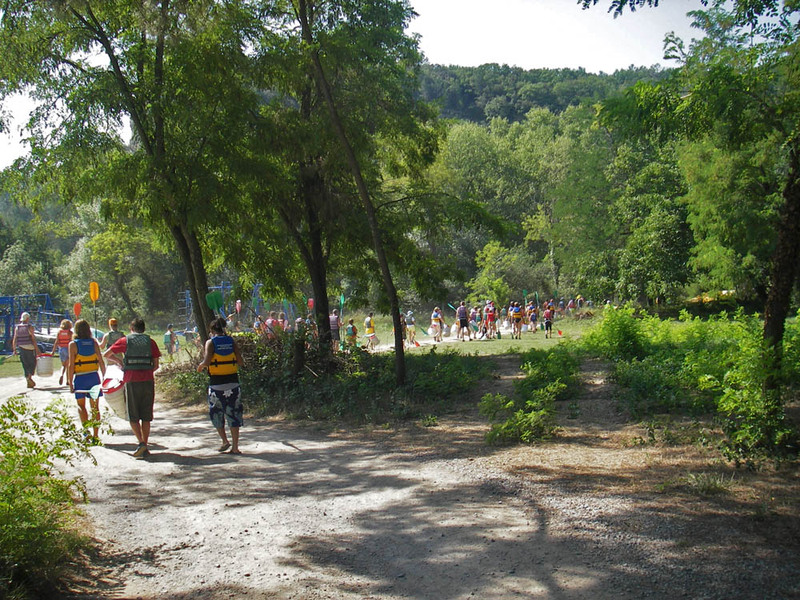 Stop at Gaud bivouac or Gournier bivouac. 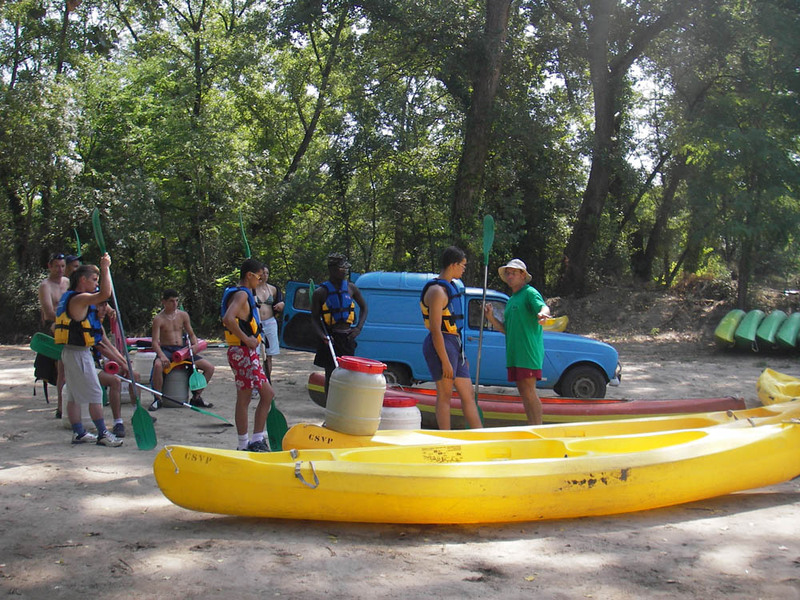 The 2nd day: Canoeing to Sauze. From 12:00 a.m. To 5:00 pm. : Free arrival (the cars are on site).